Miramar’s stonewashed waffle weave is spongy and incredibly soft. 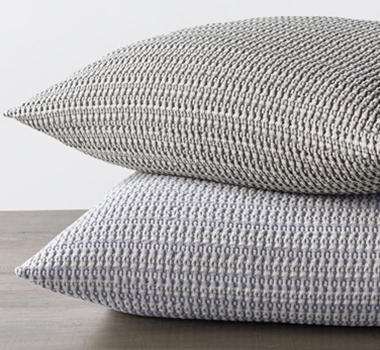 Loomed from dyed and undyed organic cotton, it lends textural, sophisticated color to the bed. The tiny pockets of the waffle weave trap air allowing lightweight warmth making it an excellent for year-round use alone or layered with a duvet. Organic cotton is grown and woven in Portugal.